These How to Do Research homeschool language arts lessons guide students through learning the importance of research skills, planning their research, conducting their research, evaluating their sources, compiling and organizing their data, presenting their information, and reviewing their work. Topics such as plagiarism, keywords, using both paper and electronic sources, primary and secondary resources, and more are also explored in this language arts course for upper elementary through middle school homeschool students. Seven How to Do Research homeschool language arts units walk the upper elementary to middle school student through the process of completing a research project from planning to presentation. 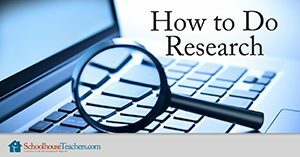 What Are Research Skills, and Why Do I Need Them? to guide their research process from start to finish. 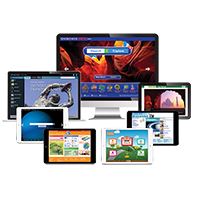 Would you like to tell others about this How to Do Research homeschool language arts course?